This web site lists over 950 ports, harbours, jetties and piers around the coastline of the UK, of which more than half are in Scotland. Much of the information for each location is historical, but in some cases up-to-date information is provided on current usage, access etc. go to the UK Map and click on one of the 58 regions shown on the map. There is also an ‘advanced search?facility. Click on Advanced Search and enter the preferred country (England, Scotland, Wales, Northern Ireland). Then choose the type of port (Trust, Municipal or Private). Then choose between the usages (Leisure, Fishing, Commercial, Ferry Terminal). In each case there is an option to leave the choice as ‘any? You can also enter part of the port name (for example ‘ford?, or you can type a word that may appear in the descriptive text (for example ‘wharf?. 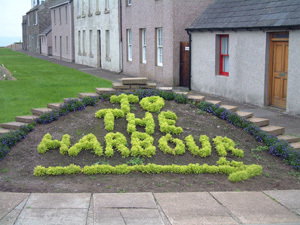 In addition to the main map, there are a number of Former Harbours. These are locations where a port or harbour used to exist, but is no longer used in any way. Many of these are derelict (such as Port Carlisle and Ham), or have been converted into housing and office developments (such as Salford). This section does not include former ports that have been converted into marinas, such as Preston and Watchet (these are shown on the main maps). All photographs on this site are protected by copyright. If you wish to use them for either commercial or non-commercial purposes, please contact the person or organisation shown below the photo. We welcome any suggestions for improving this site, including information to complete missing data, especially ownership and contact names. Some of the descriptive text may be out of date, and recommended improvements should also be sent to us. You may also know of a location that we have not included. Please e-mail any suggestions to info@ports.org.uk. If you have any comments about the site, please feel free to write in the Guestbook.